Christopher Nolan, David S. Goyer, and Zack Snyder have combined forces to bring Superman back to the big screen with Henry Cavill putting on the cape this time around as the famous Man of Steel. 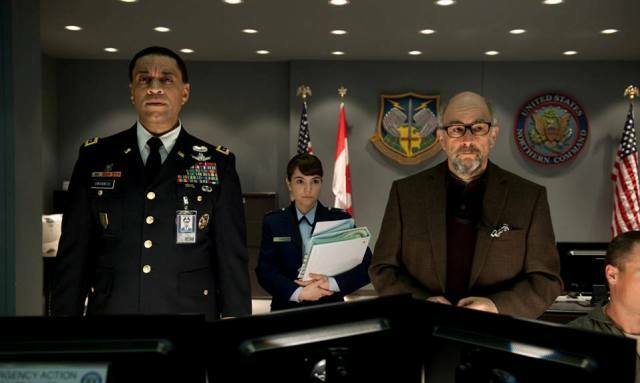 Amy Adams, Laurence Fishburne, Michael Shannon, Diane Lane, Kevin Costner, and Russell Crowe also star in what DC Comics hopes to be a rebirth of their most iconic superhero property. On the far off world of Krypton, a civil war has broken out at the same time the planet itself begins to literally collapse so Jor El (Crowe) and his wife Lara Lor-Van (Ayelet Zurer) decide to send their newborn son Kal El to the safety of another planet. 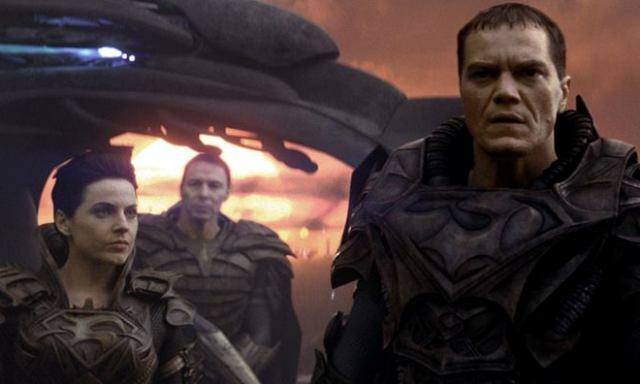 That planet, of course, is Earth where they hope the boy will have the opportunity to grow up to be a powerful leader and carry on the legacy and idealism of the Kryptonian people. On top of that, his body will be enhanced by the change in atmosphere and exposure to a different type of sun to the point where he could be considered nearly invincible and will have the ability to do things physically that no human could ever dream of. As the boy grows up on Earth under the name Clark Kent, his adopted parents Jonathan and Martha Kent (Costner and Lane) help him deal with the fact that he will always be very different from everyone else, even if they have no idea how or why. 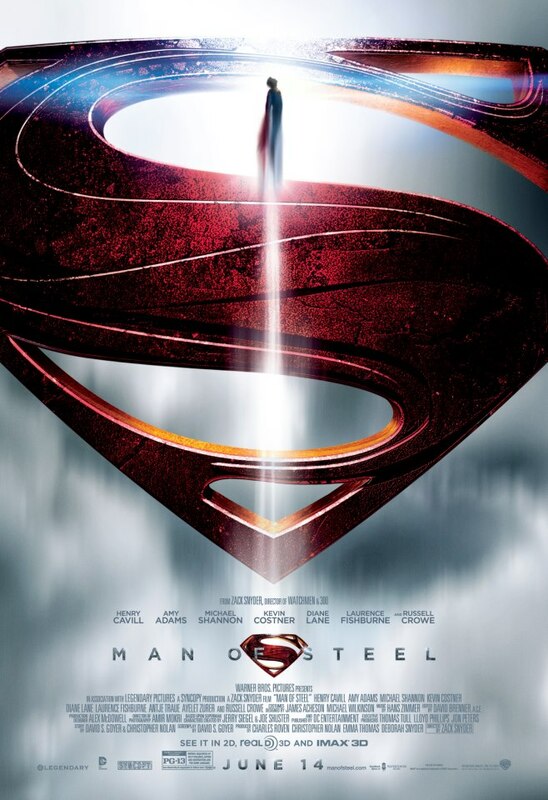 With the understanding that the world could not be ready for a man with superhuman abilities, Clark does everything he can to keep a low profile although there are times when he decides that he must use these unexplainable gifts when there is no other option but to save someone's life. 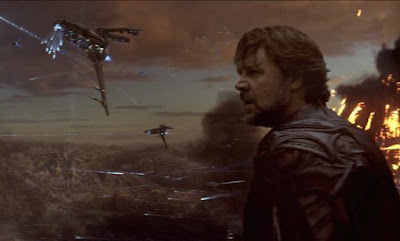 Eventually, Clark's parents show him the ship he was brought to Earth in and, thanks to the knowledge embedded inside, he begins to understand his true purpose for being here, but its only when Krypton's General Zod (Shannon) shows up and threatens the entire human race does Clark/Kal El (Cavill) decide it is time to reveal himself to the world. While Zod begins his hunt, Clark turns himself over to the military and befriends the nosey yet resourceful reporter Lois Lane (Adams) in an attempt to convince them how he means no harm, but will do everything he can to stop this threat that has come from his own home planet. 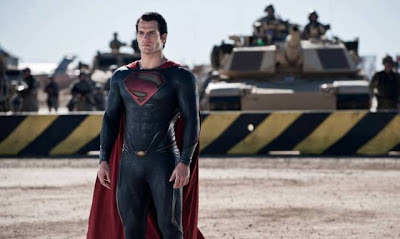 The first thing you will notice about this new take on the Man of Steel is how, like Nolan and Goyer's Batman trilogy, it is a much darker and grittier movie than any that have come before. Superman himself spends most of the movie brooding and contemplating his place in the universe which, while necessary to this plot, doesn't really allow for his true persona to shine through which is what makes the character special in the first place. 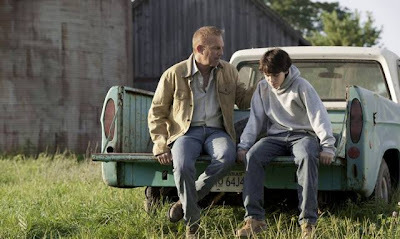 The last son of Krypton is meant to be a symbol of hope for humanity, but what we see here is someone who doesn't seem ready to achieve his destiny and his actions are not what you would expect from this intended savior. Normally I don't like to compare remakes/reboots to their predecessors, but this time around, there's no way I could avoid thinking back to Richard Donner's Superman movie, which featured a brilliant performance by Christopher Reeve in the title role. That rendition is, and always will be, the ultimate blueprint for comic book movie adaptations and is also one of my childhood movie going's defining moments. Where Donner totally embraced who Superman is as well as what he represents, Nolan and Goyer's screenplay goes a totally different direction in trying to place him in a much more cerebral mindstate and they make him so flawed that he no longer embodies that iconic symbolism. By the end of the movie, I was like...wait...that was a Superman movie? It just didn't make sense to me in that regard. As a director, Zack Snyder has been known for putting his distinct visual style ahead of anything else which often gets in the way of telling a good story as opposed to using the technology he loves to enhance what's already there. While I feel the script itself is a misguided attempt at recreating the character, I also have to say that Snyder was a poor choice in bringing that vision to life. There is little to no character development and the pacing almost leaves you wondering what just happened instead of keeping you fully engaged as to what's actually going on in the moment. There is a sequence of flashbacks utilized to inform the audience of Clark's younger days that I just felt was a clumsy device only used to differentiate it from its predecessors. My last gripe is the heavy reliance on overblown CGI effects that make the big action sequences look cartoonish and out of place compared to the darker and more raw character driven moments. This has been one of the more difficult reviews for me to write as I so wanted to like this movie and everything I read, saw, and heard going in pointed to it living up to that expectation. Unfortunately, I find myself frustrated more than anything at a movie with so many flaws I just can't bring myself to say that I liked it. Sure, writers and directors should be free to have some creative license with their interpretations of source material, but don't rip the heart out of a great story for the sake of trying to make it fresh and original. 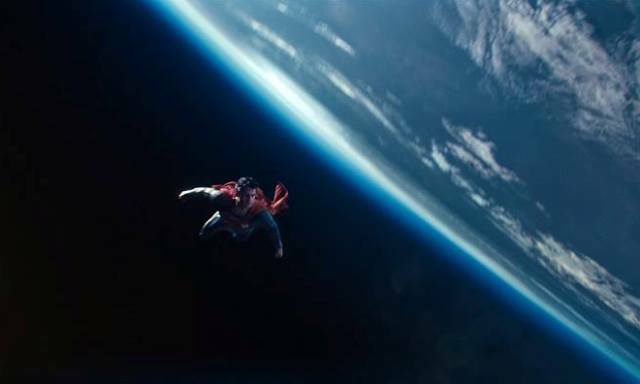 There's a fair chance you will disagree with me after you watch the movie, but for my part, the Man of Steel fell far short of what it had the potential to be.